Part 2 : What is Tyre Alignment, Balancing and Rotation? Tyre balancing as the name suggests is to ensure the rotation of the tyre is perfectly balanced. You may ask, why would it be out of balance? The rims are not perfectly round or the tyres from a manufacturing facility may not have equal weight distribution. This will cause you to feel a consistent vibration when you drive your car and wear out your tyres faster. To solve this problem, the tyre shop will use professional equipment to measure and fix the problem by adding specific counterweights to your rims. 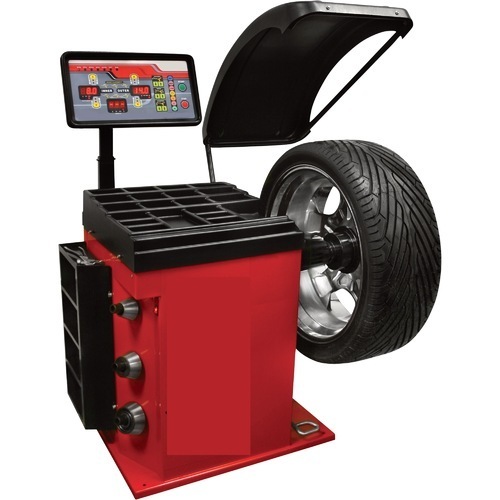 A good tyre shop will have a modern tyre balancing machine and a trained mechanic to balance each and every tyre. How often should I balance my tyres? If the road you travel is very bumpy and has a lot of unavoidable pot holes, then it is recommended to check your tyre balance every 5,000km. Especially if your travel on roads in Klang/Port Klang area with heavy lorries or certain areas in Petaling Jaya and Cheras that is riddled with those nasty pot holes. Otherwise, you can do the balancing with your alignment services every 8,000 to 10,000km. The cost of balancing is not very expensive, usually between RM6-8 per tyre and some workshops will bundle it with the alignment as a package between RM60-RM90. To find a tyre shop that can do this service for you at transparent prices, Carpit can help you find a trusted tyre shop near you to book a service through the app! ← Part 1 : What is Tyre Alignment, Balancing and Rotation?